Back in 2012, the FBI, Department of Justice, and other domestic and foreign entities teamed up to seize three sites that pirated Android apps: Applanet, AppBucket, and SnappzMarket. The fallout for some of the operators of those sites was known within about 18 months of the unprecedented crackdown. 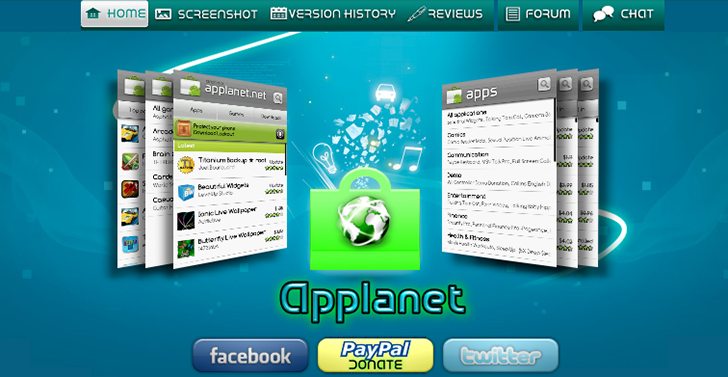 For the then-teenager behind Applanet, the largest of the three offending sites, the consequences were not determined until this week: He'll avoid prison time but will be placed under probation with some special conditions. Aaron Buckley, who was an enterprising 15-year-old when he launched Applanet from his parents' home in Mississippi, pleaded guilty to two counts of his indictment: conspiracy to commit copyright infringement and criminal copyright infringement. The Northern District Court of Georgia announced on April 11th that Buckley, now in his mid-20s, will be placed under three years' probation and will also be put into a home-incarceration program for 365 days. He will also have to complete 20 hours of community service, work toward his GED, pay a $200 "special assessment" fee, and refrain from owning a firearm or possessing a controlled substance. Buckley's attorney pushed for a lenient sentence from US District Judge Timothy Batten, framing Buckley's life since launching the site for pirated Android apps as one of community work and taking a leadership role in a support community for LGBT teenagers. He also spoke of unspecified difficulties in Buckley's personal life. "I really respect the government and the judge in their sentencing and am extremely grateful that they took into account all concerns of my health and life situation in regards to possible sentences," Buckley told TorrentFreak. "I am just glad to have another chance to use my time and skills to hopefully contribute to society in a more positive way as much as I am capable thanks to the outcome of the case." Weekend poll: How long have you owned your current smartphone?